Hi there my friends, with nearly 40 years in the business I still love the thrill of a transformation. When you get it right from the inside out Wow!! 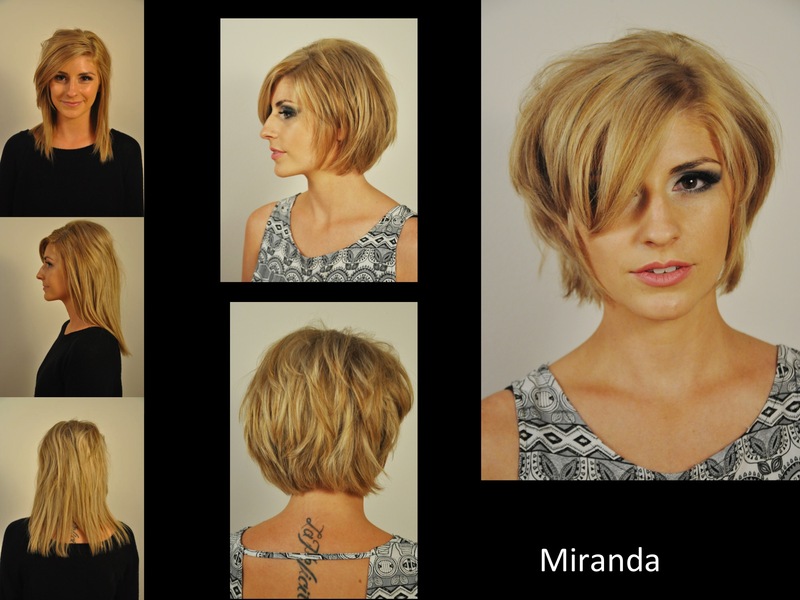 Miranda wanted a style that was playful and convertible therefore I choose to Razor cut the layers and outline shape for greater styling options. Natalie had such a vibrant personality, she wanted to have more style and individuality. 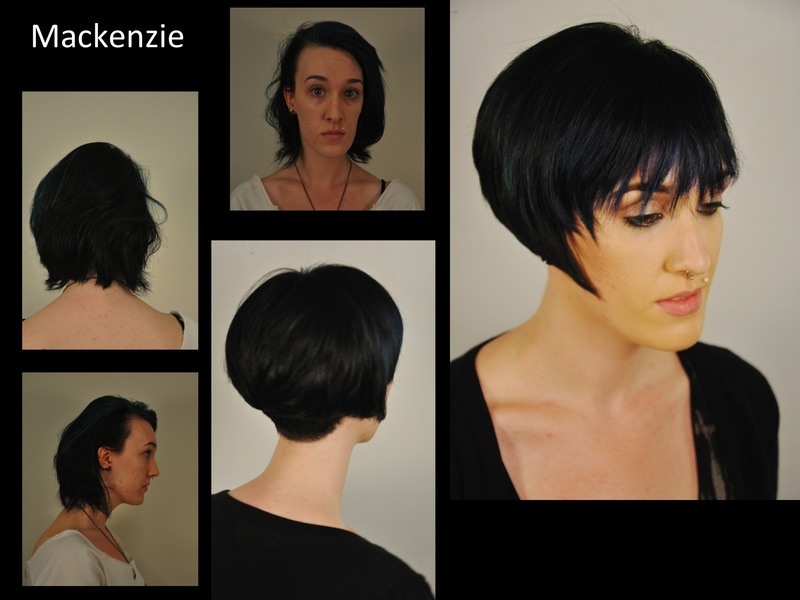 We were inspired to go clean and sleek with a nod to the 20’s Mackenzie wanted a high fashion look that would round out her features. 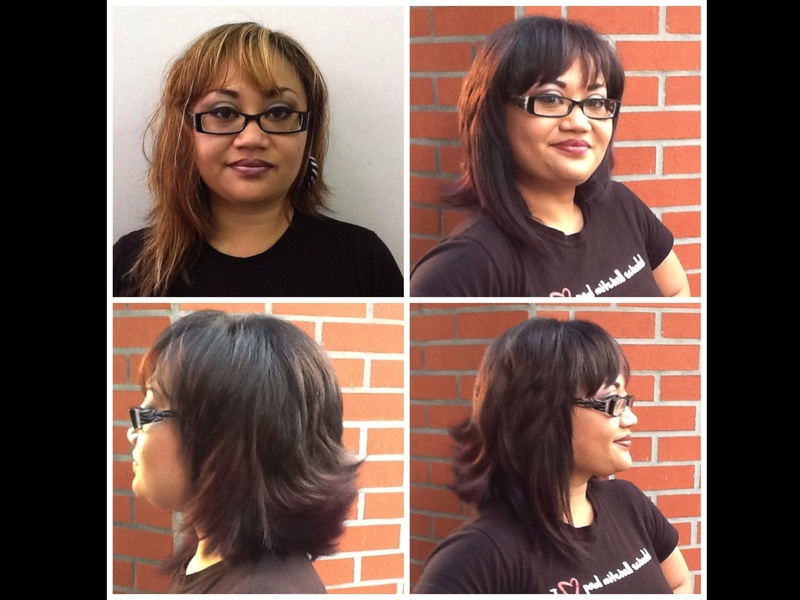 I chose an asymmetric step bob combining strength and softness. 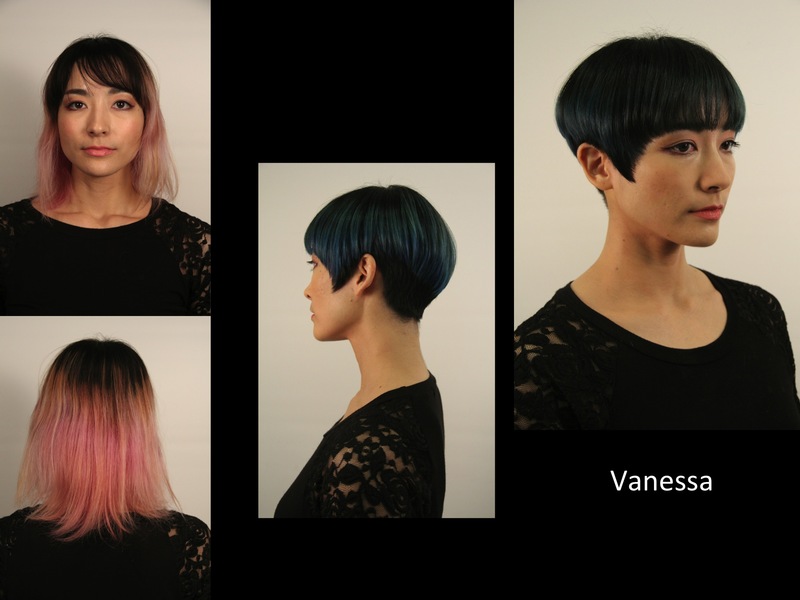 Vanessa was ready for a big change and felt as though her longer hair was no longer showcasing her beautiful bone structure. 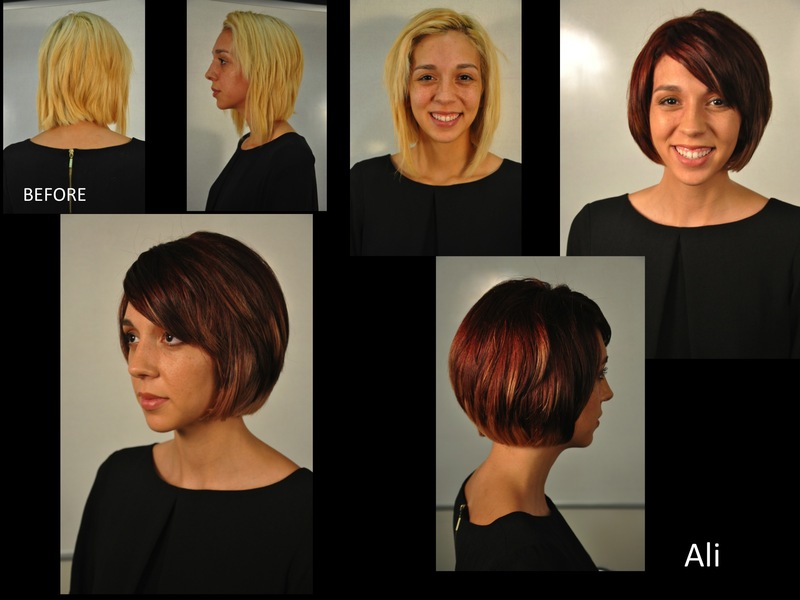 I chose to do a classic Vidal Sassoon Graduation to give more definition to her bone structure. The style requires dramatic color so the combination of black with tipped blue ends was the icing on the cake. There are ladies who suit short hair and there are ladies who suit softness and length. 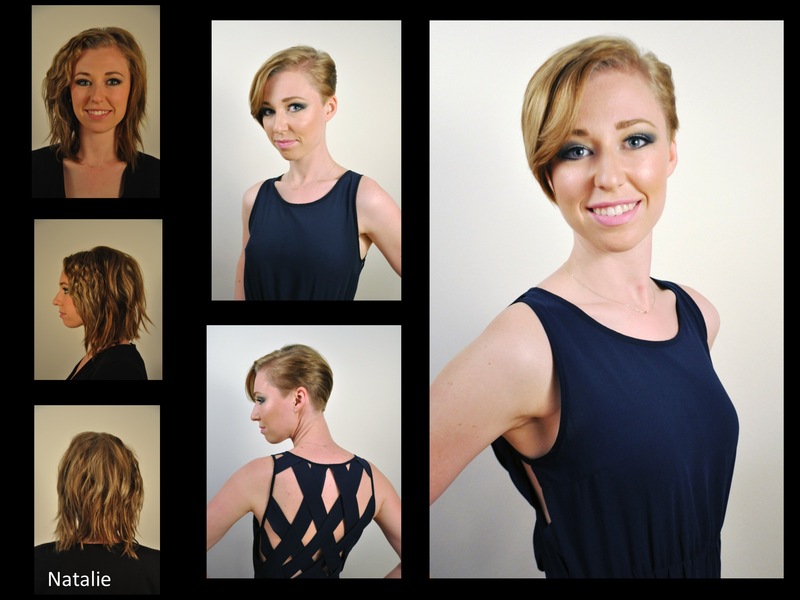 In this style I wanted to elongate my clients face by creating an asymmetric shape, with lots of layers for movement. It was critically important to add depth and richness to the hair color. Firstly to slim the face, secondly to add shine and finally to complement to skin tone and eye color. I think the final look is stunning. I love red heads, but I am not a fan of hot roots, so with Shannon we added depth and gave a lovely veil of peak a boo red around the hair line. I felt that layers and more facial framing were very important to add a pretty glam factor. Shannon’s smile confirms our success. Ali is a stunning young lady but Blonde was not the best choice for her, unless she was very blonde like a Gwen Stefani, but yellow is a hard color to wear. As you can see we added depth and richness and made her over all look much more expensive! I hope you enjoy these make over on real salon reality, let me know your thoughts? Thank you to my friends at Paul Mitchel for your support. Please share with your friends and Hay, let me know if you would like me to give you a make over? ?